Oink Oink! Piglets Adventure Farm offers a fantastic family day out, packed with exciting attractions and buckets of fun. Get close to farmyard cuties too. You might even see piglets being born in The Piglet Maternity Ward. Plus, stroke and cuddle bunnies and guinea pigs, hold the cutest baby chicks ever, brush the resident Kune Kune pigs (they love this) and even milk a cow. All in all, you’ll find a whole day of fun waiting for you. And with so much to do you’ll need a bite to eat! Serving delicious snacks, sweet treats and refreshments, there’s plenty of choice. Little ones can even enjoy The Piggy Pen, small soft play corner in Piglets Coffee House. The special events timetable is second to none. Over Summer there’s extra entertainers, Pig Racing, new Fairy Tale Trail, daily Foam Parties and not forgetting the amazing Pumpkin Festival for October half term. Take a ride on Santa’s Sleigh for the magical Christmas event, it’s one to remember. Open 10am until 5.30pm daily (closed Dec-Jan but open exclusively in December for their Magical Christmas event). Piglets Adventure Farm is only 15mins from the centre of York on Towthorpe Moor Lane, between Strensall Road and the A64, North of York. For Sat Navs use YO32 9ST. 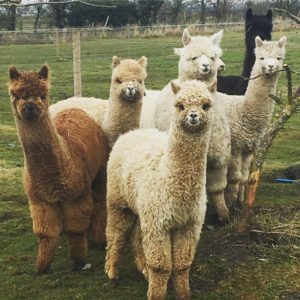 Come and take one of our lovely Alpacas for a walk through our Organic farm. The walk will take you through fields and woodland and will give you a unique opportunity to get to know and love these wonderful creature. 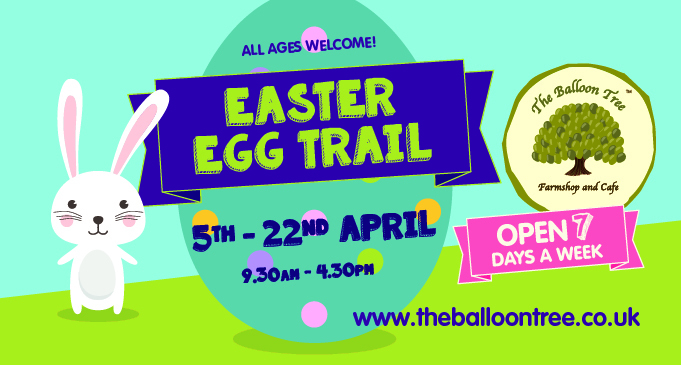 We’re taking booking for the Easter holidays – £20 per adult and £5 per child, for more information visit the website, for group booking discounts please contact us. Alternatively if you would just like to meet the alpacas and learn a little about them (no walking, cuddling instead!) then why not book to go at 3pm on either Wednesday. (30minutes) £5 per person. During the school holidays there are also arts and crafts at Craft Corner, see their website for details of the next events. Tropical World offers a unique opportunity to explore the jungle, desert, nocturnal and aquatic habitats with plants and animals such as crocodiles, butterflies, bats, snakes and a gorgeous family of meerkats! One of Tropical World’s most loved zones is the butterfly house where you are able to witness first-hand their fascinating life cycle from caterpillar to butterfly. There are between 20 and 30 species of butterflies at Tropical World including Owl Butterflies which can grow up to 20cm – the same size as a large dinner plate! You can really get up close and personal with all the inhabitants of Tropical World which makes it a fantastic immersive experience. With such a large variety of exciting and exotic animals to discover and learn about, Tropical World is a fun and educational day out for all the family. Once you have finished exploring all there is on offer at Tropical World, you can grab a bite to eat and drink in the café which has a variety of hot and cold refreshments on offer. With a unique view of the canal gardens, the café is the perfect place to sit back and relax. For more details visit the Tropical World website or Facebook Page. ‘Wooly Jumpers’ is an indoor adventure play area, much stronger and more durable than most soft play areas. It is overlooked by a café. Go Karts and Roller Races. Included: The daily activity, access to the baby/toddler play room, drinks/snack and playbarn. Falconry UK is set in a beautiful country garden and gives you a great chance to experience the excitement and thrills of falconry. There is also a chance to handle some of these amazing birds after each display. 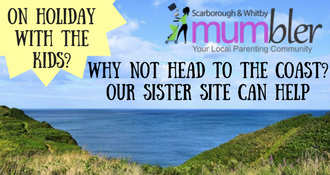 Thrilling Theme Park withwhite knuckle thrills as well as a great choice of junior and family rides including the dinosaur themed Dino-Stone Park have a dinosaur theme and the Peter Rabbit play ground. Award winning zoo. With 140 species of reptiles, mammals and birds, you can enjoy an amazing view of the animal kingdom. A variety of Keeper Talks and a sea lion and bird show are included within your admission. Monk Park Farm Park Visitor Centre is located near Thirsk in North Yorkshire and is in the heart of Herriot Country and on the edge of the North York Moors National Park. This wonderful Children’s Farm is one of Yorkshire’s best Places to Visit and is ideal for school visits and educational farm visits. As an Animal Park it is extensive with so much to do. The National Centre for Birds of Prey is the largest collection of these amazing birds in the north of England. A huge collection of owls, eagles, falcons, hawks, vultures and more are housed in spacious aviaries on our 12 acre site. The trained birds are flown for our visitors daily either indoors or outdoors depending on the weather. Picnic tables are provided and the parking is free. Open daily March 28th to September 27th. Estate open dawn till dusk, opening times of house, gardens, zoo, golf and playground vary. The grounds are also open in the off-season free of charge, with a small charges for the house and zoo. Cafe is quite narrow for getting prams in. Explorer Kits – bags with equipment in such as a magnifying glass and torch to help explore the House. The Explorer Kits are term-time only and designed for under 5s. Sewerby Squirrels – under 5s themed session term time on Mondays 10-11.30am. Lovely farm shop and tea room with an animal paddock which includes friendly pygmy goats, llamas, Shetland ponies and ducks with new family members arriving shortly!